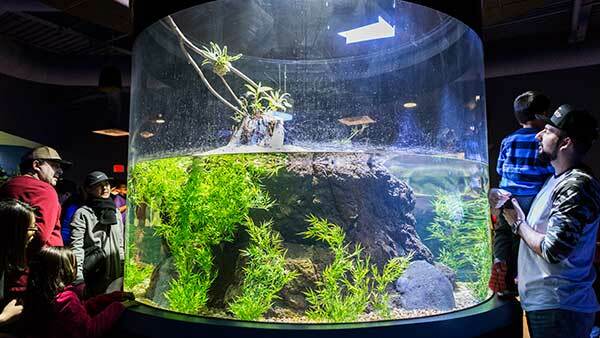 This exhibit is brought to guests in partnership with the Phoenix Herpetological Society. 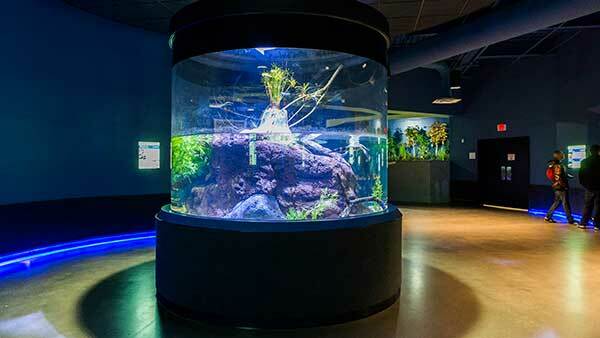 This exhibit offer 360 degrees of viewing windows. Here you will get a peek into the life of Siamese crocodiles both above and below water. 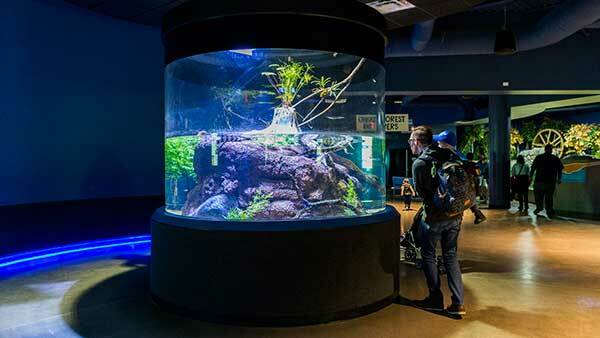 With 1300 gallons of freshwater kept at approximately 24 degrees Celsius year-round, our juvenile crocodile exhibit represents the slow-moving freshwater habitats of Cambodia such as swamps and jungle rivers, where the majority of the dwindling population of the Siamese crocodile can be found. Such tropical and humid areas would be lush with vegetation, both in the water and on the surrounding land areas. This lush vegetation creates the perfect habitat for Siamese crocodiles, not only hiding the young crocodiles from natural predators, but hiding the adults from the view of their prey. These habitats would also be home to a variety of other aquatic and semi-aquatic tropical animals including freshwater fish, amphibians, other reptiles, insects, water birds, and smaller mammals like otters, rodents, and monkeys. Unfortunately, habitats like this where the Siamese crocodiles would naturally be found have been and are being destroyed due to human encroachment, deforestation and degradation from farming and ranching. In the past, Siamese crocodile habitats were healthy all over South East Asia, but now untouched and pristine habitats exist only in small pockets scattered over Cambodia and Indonesia, and the Siamese crocodile population in the wild has dwindled to less than 5,000 individuals scattered among these ecological islands.